An outstanding 100+ year old weight driven banjo clock from Waltham Massachusetts made by the Waltham Watch & Clock Company. This particular example is in excellent original condition with an untouched surface and “first finish” case. 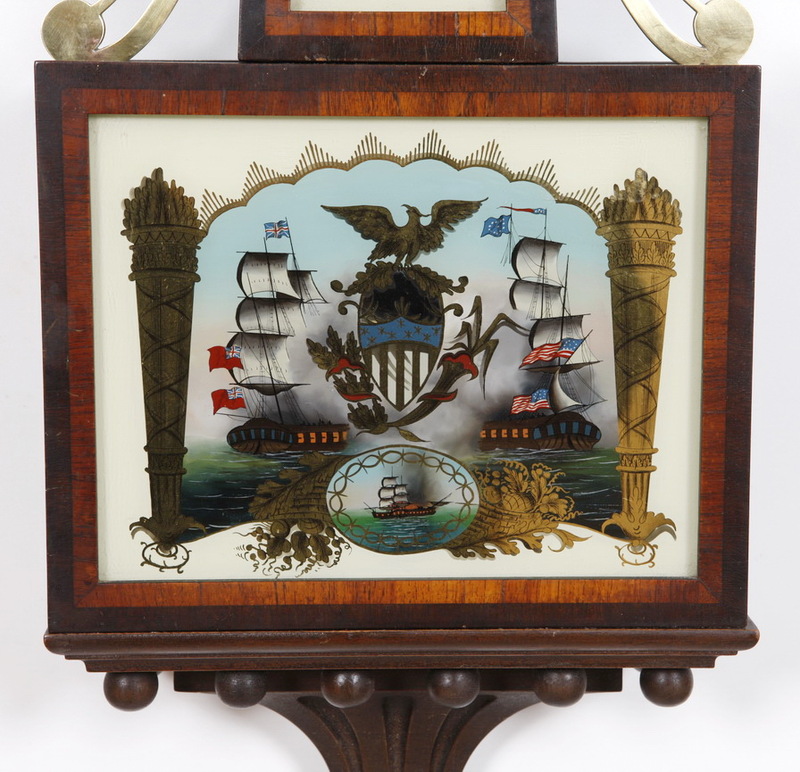 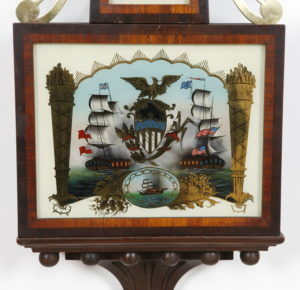 The reverse glass tablets depict a Naval Battle from the War of 1812 and are original. 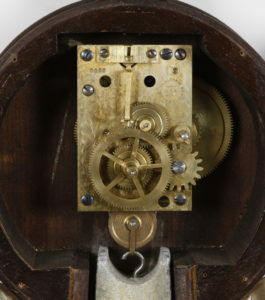 The bezel glass is original as well. 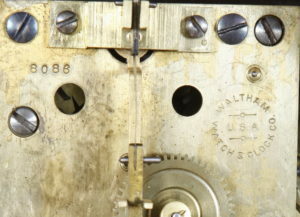 The works are signed and numbered have been serviced. 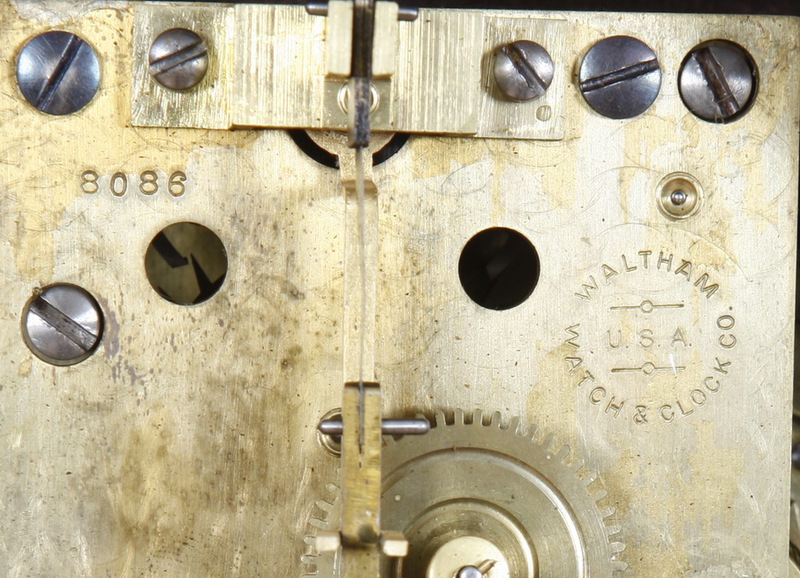 The clock runs strong and keeps perfect time and retains its original “Geneva Winding Stop.” The high grade movement has thick plates and maintaining power as well. 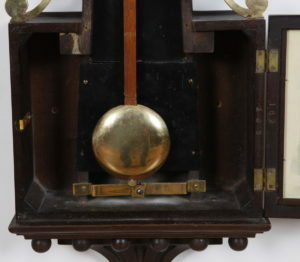 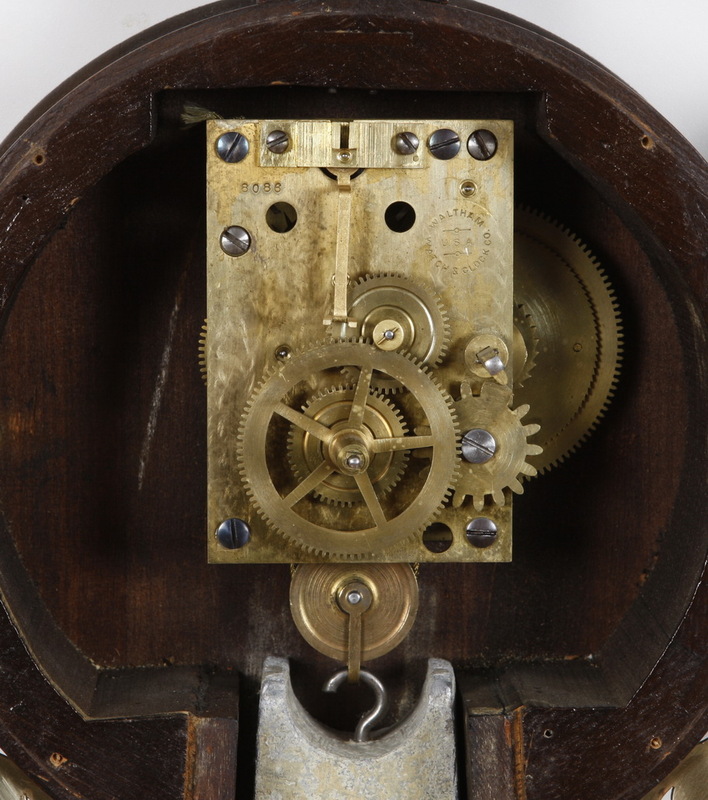 The weight and pendulum are original to the clock as well and there is a repair to the wood stick rod. 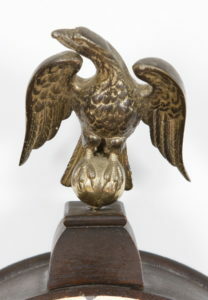 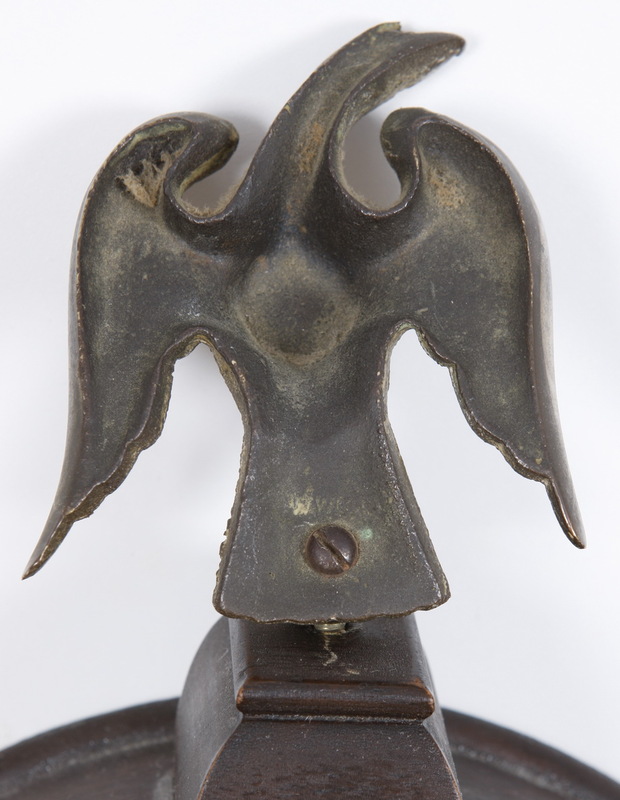 The cast brass eagle is original and retains the original Waltham trademark in the casting on the back side. 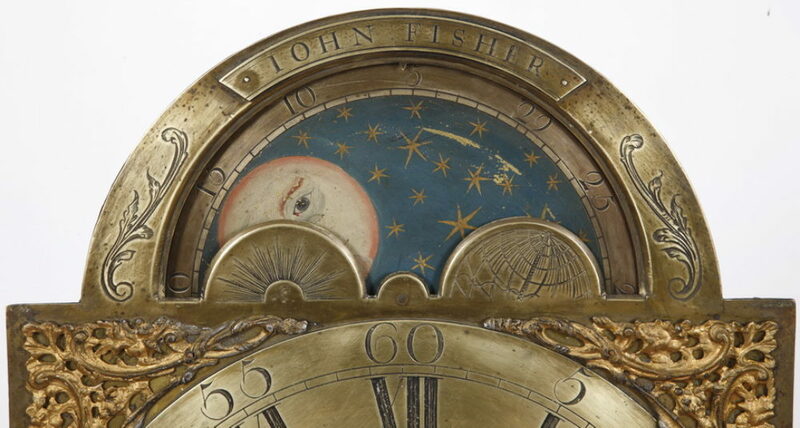 The painted dial is signed, original and has never been touched up. 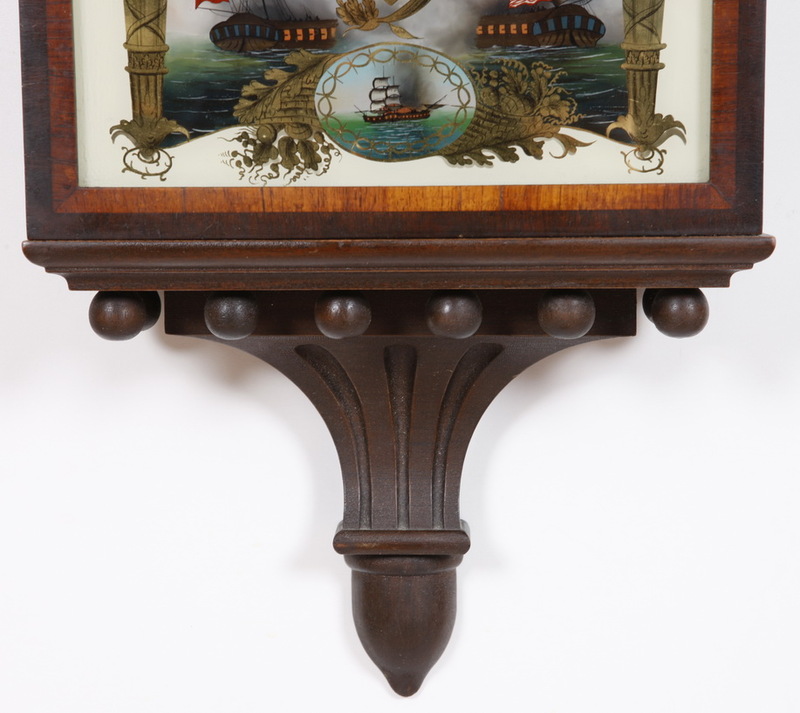 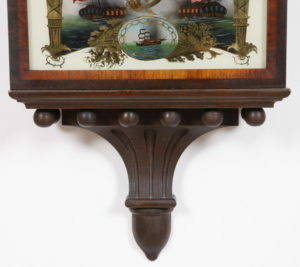 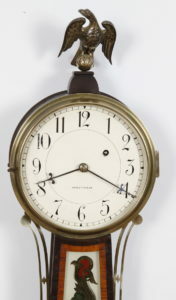 Waltham Banjo Clocks of Willard Design are faithful reproductions of Simon Willard’s Patent Timepiece that was first offered for sale in the early 1800s.